When it comes time to make a claim against an insurance policy, you may be shocked to find out that your insurance company is not really your advocate. In fact, the insurer who promised to act “like a good neighbor” or put you in “good hands” when selling you a policy can become difficult to deal with when you need to rely on that policy for a payout and financial support after an accident. In some cases, insurers may try to limit or deny payouts based on illegal reasons – acting in bad faith with policyholders’ claims – hoping that claimants are not aware of their rights and won’t fight back. To help you avoid being victimized again after an accident, we’ll point out some of the more common warning signs of insurance bad faith practices. 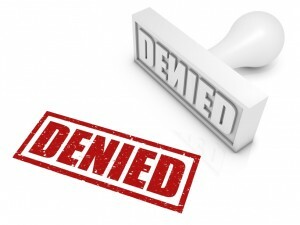 Think an insurer has undercut or wrongly denied your claim? If so, check out some of these signs of insurance bad faith. answers about your rights and potential case. The insurer relies on bizarre claim investigation methods – This can include relying on unconventional investigation methods or even needlessly drawing out the investigation of the claim. In some cases, insurers may even go so far as to retain “experts” who are not qualified to participate in investigations but are relied on because they issue opinions in favor of insurers. If the investigation of your claim seems fishy, ask questions and consult with a lawyer. It won’t cost you anything to get answers from an experienced personal injury attorney. The insurer alleges your policy has lapsed – Have you been paying all of your premiums on time and in full? If so – and if you have not been notified that your policy has lapsed or been canceled, then this could be another red flag of insurance bad faith. The insurer alleges your policy doesn’t cover you for your claim – Altering the provisions of insurance policies after claims have been made against them – and without telling policyholders – is an illegal practice known as post-claim underwriting. This is another form of insurance bad faith. Carefully reviewing a copy of your policy can be a first step to take to start uncovering whether you’ve been subjected to this bad faith practice. The insurer fails to acknowledge valid evidence for your claim – Have you submitted photographs, doctors’ reports or other evidence to an insurer to support your claim? If so, and if insurers seem to have disregarded that evidence in making a decision on your claim, don’t accept the decision issued. Instead, talk to an attorney and find out more about your options for appealing the decision, as your evidence should be considered before a final decision in your claim issued by insurers. If you have been subjected to insurance bad faith, contact the St Louis personal injury attorney at Brown & Brown Attorneys at Law. We have a long-standing commitment to serving our clients, and we are experienced at aggressively defending our clients’ rights in any legal setting. To learn more about how we can help you, attend a free, no obligations initial consult with us. You can set up this meeting by calling our firm at 573-333-3333 for our Missouri office or at 618-888-8888 for our Illinois office. You can also email us using the form at the right-hand side of the screen.